I use Kontera In-Text Ads for Publishers since 2008. After installing Kontera Ads code to your website, the Kontera relevant terms show as underlined words or expressions that users can mouse over to show the full ads. You get revenue for the clicked ads. It has a better CTR (Click-Through Rate) for the English language websites, but I was able to use it also on our Romanian websites, as many technical words in Romanian language come from English. You can submit one or more of your websites for approval and each website will get its own tag (code), so you can review your statistics for each individual website. The minimum payout is $50 and you get the money through PayPal, check, wire transfer or International EFT. Add Kontera ads on your website today! 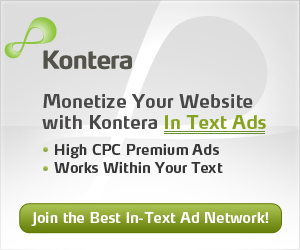 Here is some more information about Kontera In-Text Ad Network. An Additional Revenue Stream from your Website – Kontera’s In-Text ads provide you with a sustainable revenue stream from your online content. The Best Payout in the Business: 70% Revenue Share, Signing Bonus for qualified sites with over 25k US pageviews/month, and you get paid starting at $50! Superior Semantic Technology – Kontera’s patented Story-Level Targeting delivers unmatched user-experience & results. We understand your content in real time and serve your users with the most relevant and highest paying ads. 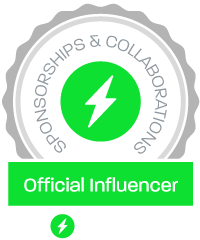 Exclusive Ad Inventory – Big-brand advertisers that you won’t see anywhere else; with unique creatives that deliver record-high CTRs and CPC. Works Within Your Text – no extra space required and no changes to your website. Plug & Play – Set up takes a minute. Easy-to-install plugins for popular blogging platforms such as Blogger, WordPress, Joomla &, Drupal make implementation a breeze. You’re in control – Keep track of your revenue and other performance metrics with our reporting system. Join the Best In-Text Ad Network! Click the banner below to join Kontera Ad-Network now!